Elvis was born in the Year of the Dog 1935 Elvis Year of the Dog. 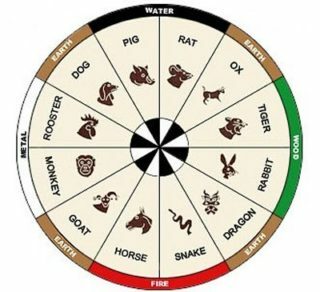 Chinese Calendar. 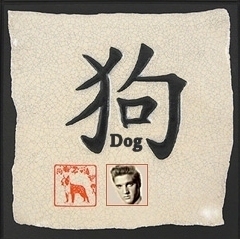 Elvis Chinese Astrology Elvis Year of the Dog: Chinese Animals signifies 12 different animals, representing 12 years. Anyone born in a particular year that is named after any of the 12 animals, possess certain traits of that animal. Each animal year comes after 12 years. 2018 is Elvis Year of Earth Dog, February. 16, 2018 (Chinese New Year) to February 4, 2019. The Chinese New Year is celebrated on a different day every year (dated by the lunar cycle of the month of that particular year) Elvis was born at the tail end of the year of the Dog. 14 February 1934 to 4 February 1935. Element: Wood: imagination, creativity, idealism, compassion. People born in the Year of the Dog possess the best traits of human nature. They have a deep sense of loyalty, are honest and inspire other people confidence because they know how to keep secrets. However, Dog people can be somewhat selfish, stubborn and eccentric. They care little for wealth, yet somehow always seem to have money. They can be somewhat distant. They are noted for their sharp tongues. Although Dogs have a reputation for not easily entrusting their affections, when they do, those friendships are for life. For the Dog their personal relationships are the most essential and important components of his life; money, power, success. Life doesn’t mean a thing to Dogs without having a loving partner by their side and a stable family and home life. The Dog is usually selective in the beginning stage of dating. Once these people have pledged their allegiance or sworn their marriage vows, they will continue to love that partner throughout their life.